Since the end of August, or rather since August 29, the negotiations on Brexit have changed the general tone and have headed for better relations between the EU and Great Britain. The first significant statement in this direction was the statement of the main negotiator from the EU Barne who said that the eurozone is ready to offer the UK a partnership and the UK is a significant trading partner for the EU, thus pointing to the peculiarity of political relations between the EU and Britain. As a result, this statement was one of the first. And the eurozone has confirmed that it is not interested in the tough Brexit process. Earlier, on August 21, Barne already appeared in the news line, but then he expressed fears that after Brexit Britain could not ensure the implementation of the agreements. Against the backdrop of the weakness of the dollar it provided support to the British pound and in fact became the preparation for more hawkish statements on Brexit, which we trace since the beginning of September. On this, the Brexit advance toward settlement did not stop and on September 5 Bloomberg reported that Germany and the United Kingdom had abandoned some of the requirements for consensus. It became a positive note for the British pound also . As a result, we can say that these three events fully unfolded a downtrend on the pair GBP/USD, which was traced from the end of March this year. Regarding the pair EUR/GBP it is not so simple yet. Since the agreed Brexit is also beneficial to the euro area, given the fact that the Brexit procedure will be implemented in March 2019, regardless of whether an agreement on trade between the EU and the UK will be reached or not. The EU is also profitable until this time to solve key issues that remain one of the main risk factors in Europe. And given the fact of the US trade confrontation, it can take an unexpected turn. 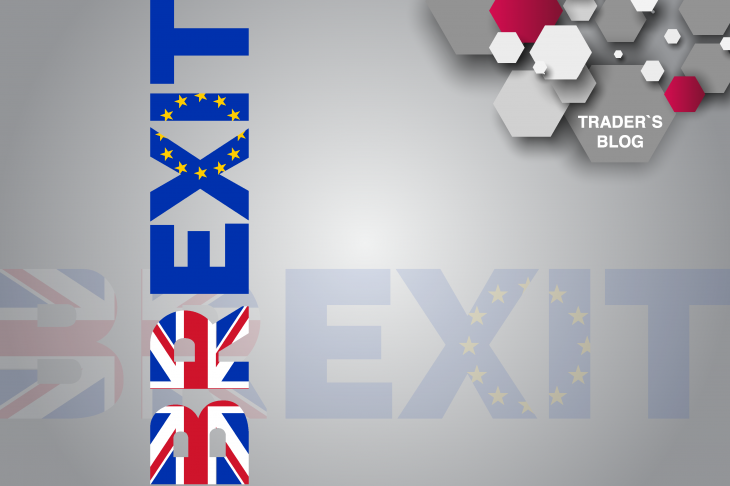 If the rates of “stabilization” of the Brexit talks continue, and during the negotiations there will be no new difficulties, by the end of September the GBP/USD pair will trade near the levels of 1.30-1.31, which fully confirms the reversal of the downtrend in this pair and in the long term will open the way for levels : 1.32-1.33. Regarding the pair EUR/GBP, it is not worth expecting such a pronounced dynamics due to the volatility of the negotiations themselves. While this pair forms a pivot model on pound optimism and is likely to test support levels at the levels of 0.89 and 0.88. On the other hand, a stable trend is unlikely, as well as a significant increase in the euro, which will be limited to resistance levels of 0.90 and 0.91 in the coming months. Brexit is a neologism, formed from two words Britain (Britain) and Exit (output), which means the UK’s withdrawal from the EU.